You’ll feel like you’re floating in on a bubble sporting this pin of Kristin Chenoweth. Perfect for trips on the 20th Century. Wearing this pin will be your new philosophy. 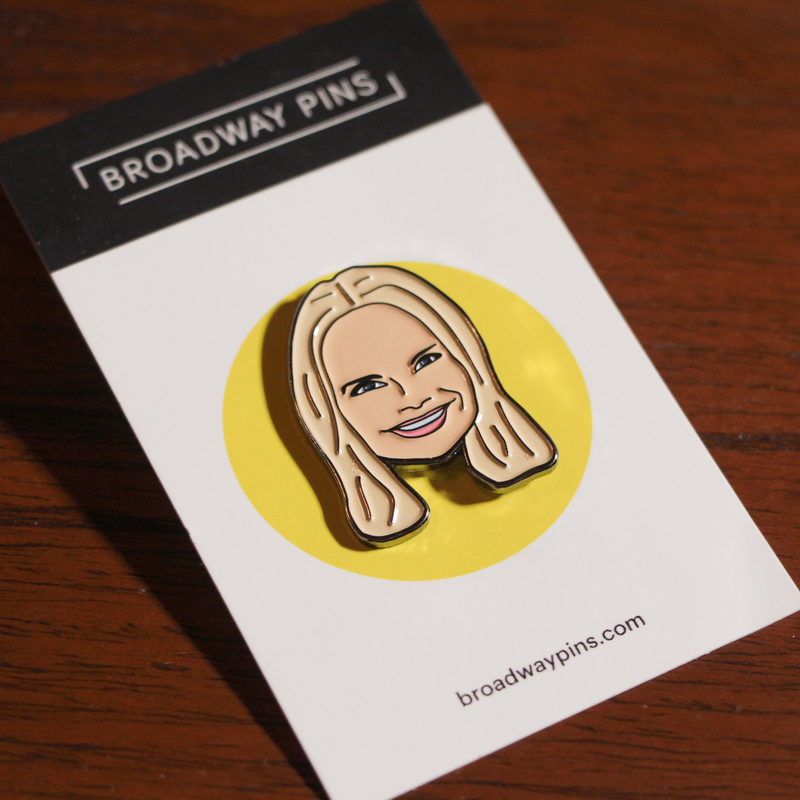 This Kristin Chenoweth pin is 1.25 inches tall, plated in black and comes with a black rubber clasp on the back.